The plane landed in Florida where our connecting flight was. We got off the plane but we were stopped at the gate by Annabelle&apos;s dad. "Thank you guys. You really made Annabelle&apos;s day." He said. "Your welcome. We love meeting fans." I said. "She has lung cancer. The Doctors say she only has a few days to live so I am going everything she wants to do." He said. My eyes filled with tears. "Where is her mother?" Daveed asked. "She died. A few years ago." He said calmly. "I am so sorry for your lost." I said with tears streaming down my face. "Thank you." He said walking away. I looked a Daveed. "I can&apos;t even imagine what he is going through." I said boarding our second plane.
" I know right." He said sitting next to me. When the plane took of I got a Skype call from Jaz. I answered it. "Hey Jaz what&apos;s up?" I ask her. "Nothing really. The show is about to start just thought I would check in." She said tonight was her last show till the birth. I really wanted to be there. "Yh we are all good. We are still flying." I say. "Which plane are you on now?" "From Florida to the Bahamas." I said. "OK well have fun. Oh and please, no more kids." She said. I laughed. "Iv-" I waved her bye and quickly ended the call. Our plane landed. We got of and got into the taxi. We drove to the hotel. The island is really beautiful! I took some pictures. "Where are you guys from?" The taxi driver asked. "You guys are pretty far from home." He said. "Yh. We are on our honeymoon." I said. "You guys face looks familiar." He said looking in the rare view mirror. "Really? you ever been to New York?" Daveed asked. "No. What do you guys do?" He asked. "We act on Broadway." I said. "That&apos;s it! Hamilton right? My kids love that musical!" He said. "Yh! can I get a picture so they know I meet you guy?" "Sure." 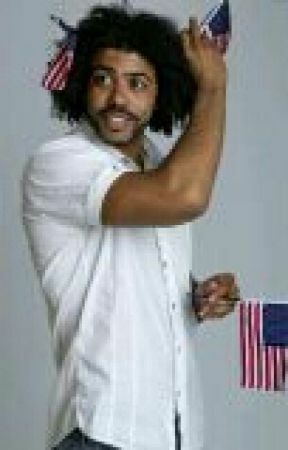 Daveed said. We took the picture and he dropped us off at the hotel. We got out and went to the front desk. "Resavation for Ivy Diggs." I say. Daveed smiles at me. "Here we go. You are in room 17 76" she say. I look at Daveed we both burst into laugher. And start singing. The lady at the front desk looked at us like we were crazy. We got our bags and went to the elevator. We went up to the 17th floor and found our room. Before we went inside I took a picture of the number on the door and posted it on twitter with the caption &apos;pardon me, are you Aaron burr, sir.&apos; I opened the door. The room was beautiful. The view was beautiful. Everything was just so beautiful. Daveed went to the window. "Let&apos;s go to the beach! I want to go to the beach!" Daveed said. I laughed at him. "OK. Get changed." I said. I looked in my bag for my things. I changed into my bathing suit, some jeans shorts, a blue beach cover up and blue sandals. Daveed came out changed. We went down to the beach. I sat on the sand and Daveed ran into the water. "Come in the water is great!" Daveed said. "No. I am good right here." I said back. He ran back on shore were I was and sat next to me. "Oh come on, Ivy please." He said pouting. I laughed at him. "I would really rather stay on shore." I said. He stood up. "Fine. I see we are going to have to do this the hard way." He said. He picked me up and carried me to the water. "OK. Stop! Daveed. Fine. Fine!" I shouted. "Are going to come in the water?" He asked. "Yes. Let me just take this of." I said. He placed me on the sand. I took of my sandals, cover up and shorts. I could here Daveed whistling from the water. I laughed at him. My phone went off. I picked up it up to see who it was but, Daveed took it from me, picked me up and put me down in the water. "Happy, I am in now." I said. "Very." He said splashing me with water. I splashed him back, but he cut me off with a kiss. I pulled away from him. "No fair! Your cheating." I said. "No I am not." He said. "Yes you are." I said pushing him. He fell back. I laughed at him but, I was pulled down by my leg. I fell on top of him.
" who&apos;s laughing now?" He asked. I splashed him with water again. "Me!" I said before getting up and running. He chased me around the beach before I faked an injury. "Are you OK?" He asked looking at my ankle. I pulled to the floor where I was and kissed him. "I am now." I said. He picked me up, bridal style, and carried me down the beach. "You know there is nothing wrong with my ankle right?" I said. "I know. I just like to show of." He said. I laughed at him and he put me down. I kissed him and he wrapped his hands around my waist. "This is a public place you know." I said. "Well maybe we should carry this some place more private." He said winking at me. We ran down the beach back to where our things was, and then we went upstairs to your room.